« 4/15 Virginia: Is State Sen. Stanley right? Are casinos a sign of civic death? These days it’s easy to get caught up in the legalized sports betting fever making its way across the country. In the wake of the U.S. Supreme Court’s 2018 repeal of the Professional and Amateur Sports Protection Act (PASPA), a rush to approve legal bookmaking has precedented growth in the sports gambling industry and business alliances that many wouldn’t have predicted just a few years ago. Billions in wagers, previously collected by illegal operators, are coming up for grabs as states approve enabling legislation and tribal casino operators warm up to the idea. When professional sports leagues and individual teams begin entering into contracts with major bookmakers and casino corporations, you know you’re living in interesting times. But that’s still no excuse for the creation of the short-lived Alliance of Professional Football, the upstart league designed with bettors in mind. Founded in 2018 by filmmaker Charlie Ebersol and ex-Buffalo Bills GM Bill Polian, it was to be something of an XFL for a new generation with eight teams located in the South and West. The first season started with fanfare on Feb. 9 and folded fast. Officially, the air went out of the ball on April 2, but the league was doomed from the start. Let’s set aside the fact that it makes questionable sense to rush to create an underfunded, under-talented, and under-supported professional football league at a time the NFL itself is struggling with ratings. It was clear from the beginning that this wasn’t going to be a pro sports league in the traditional sense – or even a minor league sense, for that matter. It was going to be a betting league that existed ostensibly to give “fans” something to wager on. Which, if you don’t think about it too much, may sound like a good idea at a time of rapid bookmaking expansion and increasing technology. If the players want action, you should give it to them, right? Not so fast. Call me old-fashioned, but I think the AAF was made to order for scandal. Its quick demise, I believe, is the best thing that could have happened for MGM Resorts International, the gaming giant that was building gambling software in an agreement with the league. Now – surprise, surprise – two former players who find themselves out of work in the wake of the league’s collapse are suing to recover money they claim is owed them under contract with the AAF. With the AAF effectively telling them they’re SOL, that leaves them searching for any entity with deep pockets. It’s early, but this already has the feel of a “Hail Mary” pass. 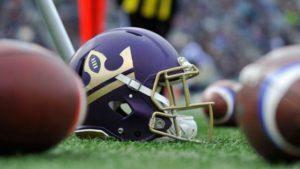 In court documents and published reports, the players do hold out some hope for the prospects of recovering money after targeting the sports betting software the AAF was developing with MGM. The fact MGM has, according to published reports, claimed proprietary ownership of the phone app figures to complicate matters somewhat. Hype was the one element the AAF wasn’t short on. Its operators generated more hot air than a Macy’s parade, at one point claiming to have $250 million to build the league into a winner. Players signed six-figure contracts. Underpaid and nowhere near breaking into the NFL, the players knowingly toiled in a league controlled by a handful of owners that emphasized sports betting first and foremost. The last thing the legal sports bookmaking industry needs in the wake of the PASPA repeal is to look like it’s willing to run ahead of the security and regulatory scrutiny major professional sports leagues commonly encourage in an effort to chase a buck. The AAF was a scandal waiting to happen. The owners, athletes, bookmakers and bettors should consider themselves lucky the league punted on first down.